The greatest joy of living is being a father or a mother. The day a child is born there is a dramatic shift in your consciousness from I, me, my, myself to you , his or her. The whole world changes especially for a mother. The child becomes ones world. The perspective of life changes. When a child is born with joy comes responsibility. Parenting is just not a passing phase of life , it is a journey to tread, and to tread well as the future of a child, the future of a generation, the future of a society , a country and a world at large is in the hands of parents. But very few of us realize it. Being and becoming a parent should not be by chance but by a conscious willing of both parents to create ones offspring a beautiful bud. The growth and development of the bud to bloom into a beautiful flower depends on the parents. Parenting is actually an art, a skill. Like a skilled craftsman or sculptor or painter parents have to put all their effort and concentration in developing a beautiful human being who is actually humane. We all want to raise children who grow up to be a resilient, successful, independent adults. But along with it we should ensure that the child acquires not only knowledge but also wisdom, he earns not only success but also goodwill, he becomes not only independent but also responsible, he develops not only strength but also compassion, and most importantly teach him not only to take life seriously but also enjoy the flavor of fun and humor. Teach them to savor life as a full meal with soup to dessert and a perfect blend of all the flavors, enjoying every bit of it come what may. Being a child of two young children aged 17 and 14 its been a long but seemingly short journey from developing a baby to toddler, to teenager. The journey is full of wonder, awe, joy and learning. Along with the child the parents also grow in understanding and wisdom. The parent child relationship is the most beautiful of all relationships and so we should nurture and handle it with care. As it has a great psychological impact on the children which leaves an imprint in their subconscious mind which determines their behavior as a youth. Now lets see some valid fundamental points we should cultivate as a parent and what are the points we should avoid for a healthy parent child relationship. 1 .CHILD REQUIRES YOUR TIME AND COMPANY NOT MONEY. 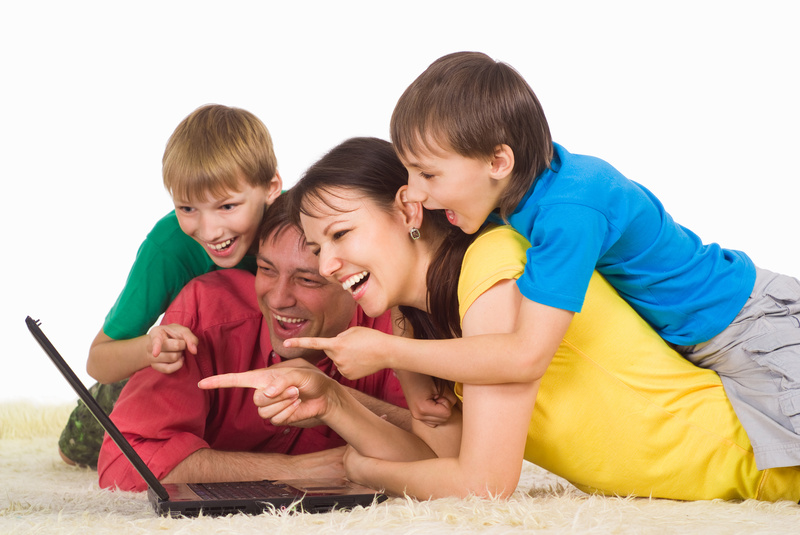 Give them enough time to spend together in fun activities, outing or playing, reading or dining together. Togetherness gives them a sense of security. Do not pity him for his weaknesses and hardships. Try to understand their behavior by putting on their shoes and empathize and then show them the path to overcome their hardships themselves not solve their problems. This will enhance their strength and confidence. Have fun and laugh together every day. This opens up their heart. They learn to love people. Children look up to their parents for approval. They want their involvement in their growth. They wait eagerly for their parents to attend to their school meetings and functions. Its ruthless and rude to leave an ill child in the care of a servant .or caretaker. Be at their side when they are ill. They seek parents company. This develops compassion in the child. So when you are ill you will find them at your side. Persistence is important. Regularly on daily basis give them time attend do their home works & studies, take care of their health by monitoring their eating ,sleeping and playing habits. This develops a child who is healthy physically and mentally. Be caring and attend to their needs as and when required. In todays world single child is preferred by many. But it is always congenial and healthy to have a sibling. Encourage your parents to stay with you and your children. Children learn a lot from sibling and grandparents. They learn to be unselfish and compassionate and learn to share and care. Father and Mother have different role in bringing up a child. For a healthy growth the presence and company of both is important .Parents should maintain cordial relationship. Children follow more by example than by preaching. 9. DON’T BE OVER PROTECTIVE.KEEP A HEALTHY BALANCE OF LIBERTY AND MONITORING. Children should be developed to become self-dependent and independent. But until a certain age is reached activities of children should be monitored closely and judicious corrective action taken at an early stage. With the advent of modern technology children are now exposed to good as well as bad stuff. So monitoring is necessary. Parents cannot cover the whole journey by the side of a child. When the kid grows up he will fly away. Strengthen his wings by cultivating virtues and power of discrimination or viveka to choose the right and know the difference between the two. Teach him to listen to his heart and decide with his intellect to stabilize his flight. There are many more points which cannot be covered in one go. The above are the fundamental points of Good Parenting as experienced. Parenting is incomplete if parents do not learn from the children in this journey. Parents gradually become wise, they learn self-control, and become a much better person. As children emulate their parents so you can detect your shortcomings in their behavior. The moment you correct yourself they also change. Life is short. Moments fly away & your kid becomes adult .Never miss these precious moments which you will cherish life long. So enjoy the moments of parenting and be basked in the blessing of a beautiful relationship the greatest of all—THE CHILD PARENT RELATIONSHIP..